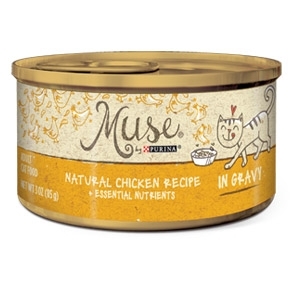 Mouthwatering morsels of chicken, tuna, salmon or shrimp ladled with just the right amount of gravy. Ooooh … love at first sight. Ahhh … obsession at first bite. Poultry broth, chicken, liver, wheat gluten, natural flavors, turkey, fish.